Restaurateur Kate Ward Leeder ('98) took the road less traveled and ended up exactly where she was supposed to be. 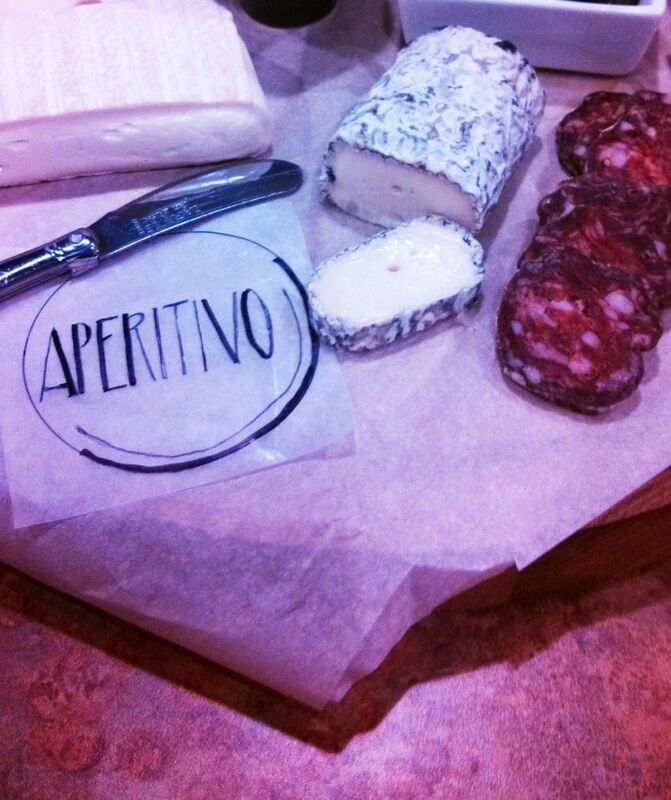 Specialty foods, gourmet cheeses, beer and fine wine are on the menu at Aperitivo. You could say it was a winding road that Kate Ward Leeder (’98) followed on her way from the study of history to the study of charcuterie. But those twists and turns led her to exactly where she was supposed to be. Leeder, a partner in the Grand Rapids, Michigan, specialty restaurant Aperitivo, came to Wake Forest from St. Louis. She chose Wake because her high school encouraged grads to enroll in a small liberal arts college, and she was not a fan of cold weather. Kate with her husband, Bill, an attorney. They met at Wake Forest. 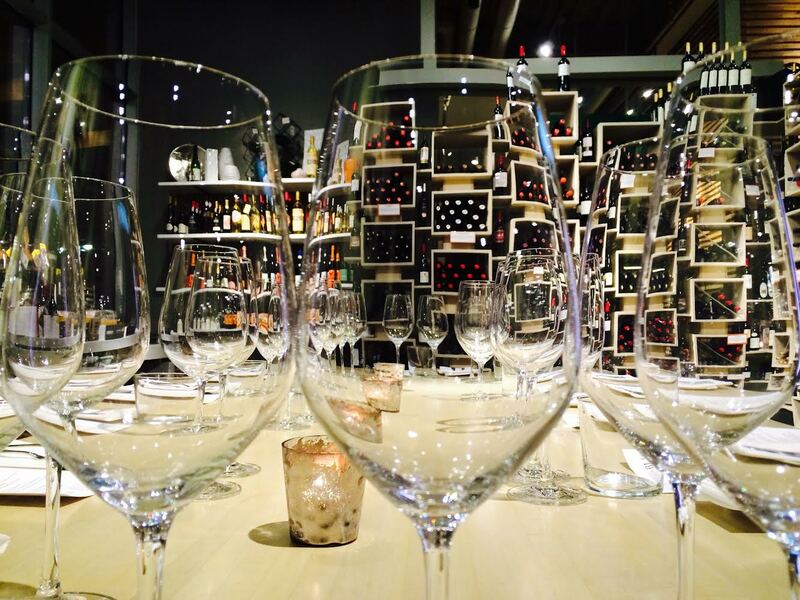 Aperitivo is located in the Downtown Market in Grand Rapids, Michigan. 'I was never going into business, even though now I have my own business,' Kate says with a laugh. Rather than going to culinary school after graduation Leeder read, talked to her favorite chef and did everything else she could to educate herself. 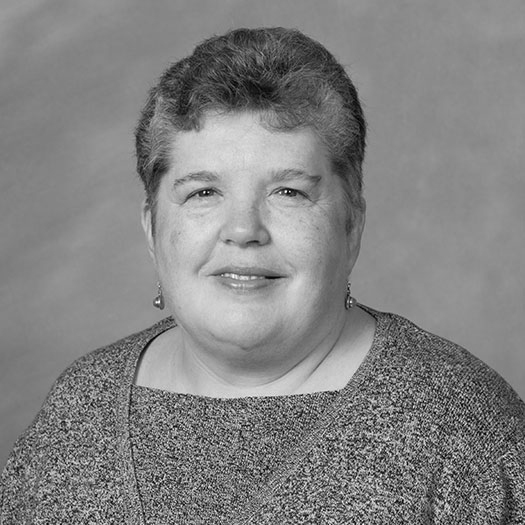 She married Bill Leeder (’96) and continued to work for chefs at the top of their culinary game, absorbing knowledge and skills. After six-plus years in Chicago restaurants, and after her husband passed the bar, she declared, “This is it. 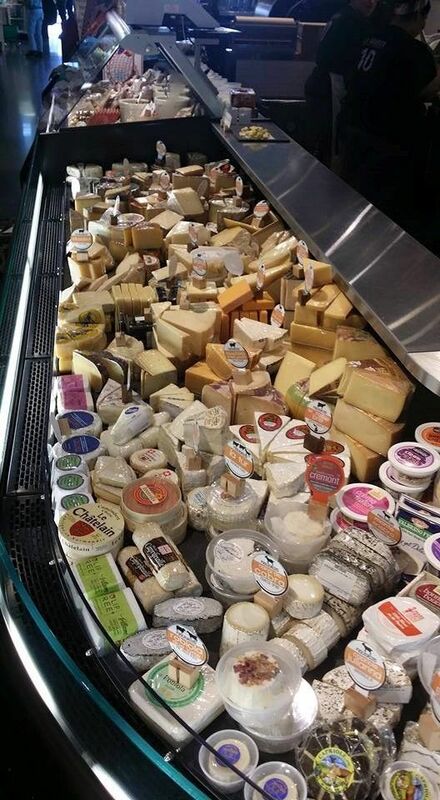 I don’t want to work in restaurants anymore.” In 2005 she became a cheesemonger at Whole Foods. 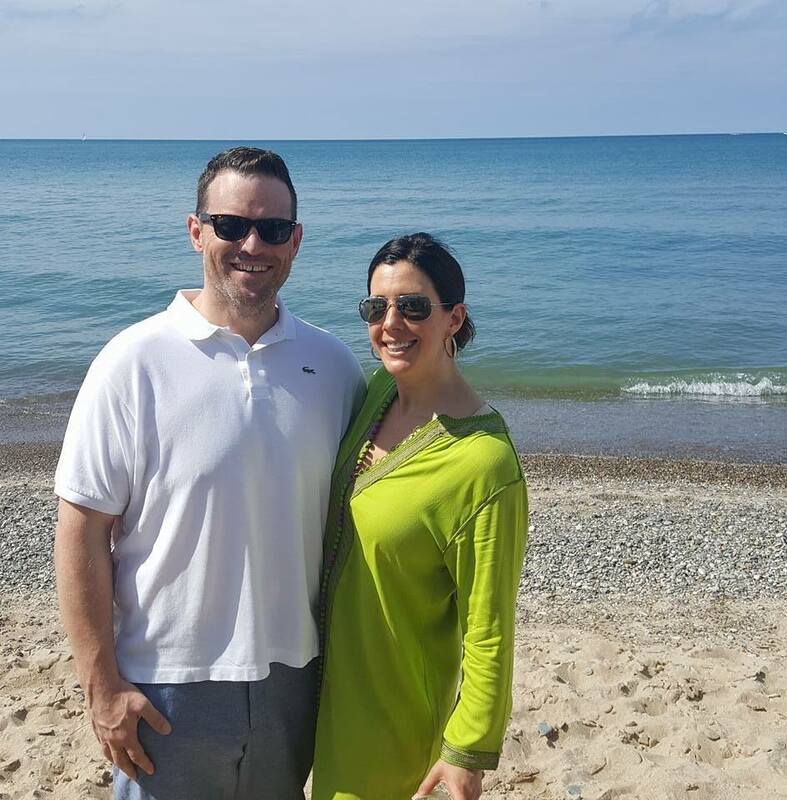 When the couple moved to Grand Rapids she worked at a specialty shop, catering on the side. “I really wanted to do more; I needed more.” She became partners with the shop’s owner, and they opened Aperitivo in 2013. 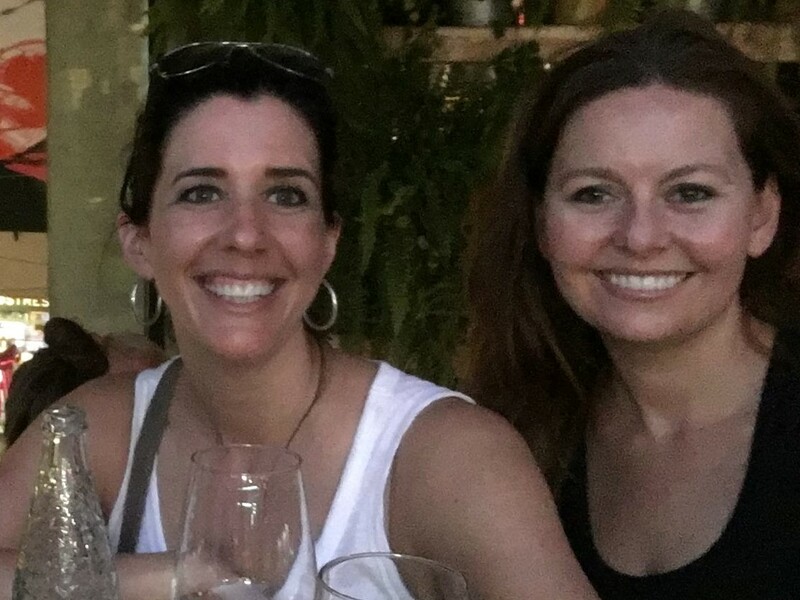 Kate (left) and her best friend from college, Paige Lassen ('98). Women's soccer Associate Head Coach Jason Lowe and Kate (fourth and fifth from left on back row) became friends at Wake. 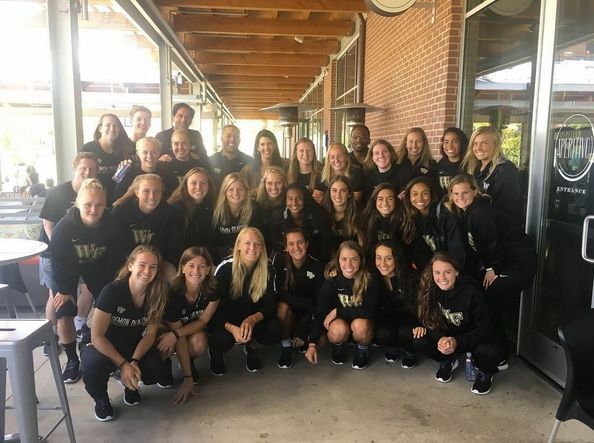 In September, the Wake Forest women’s soccer team was traveling in the Grand Rapids area and stopped by Aperitivo at the suggestion of Associate Head Coach Jason Lowe (’98, MBA ’02), one of Leeder’s college friends. She talked with the student-athletes about her journey from being a history major to running a restaurant.